Avid comic readers know there’s one undeniable truth to any crossover or event featuring Marvel’s merry mutants: prepare yourself for the worst and hope for the best. For every Age of Apocalypse there’s a Utopia, Necrosha or Schism just waiting to drag you down. Tentatively, I dove into last year’s X-Men: Battle of the Atom crossover to see which side of the fence I fell on; the initial fan feedback was divisive, to say the least. 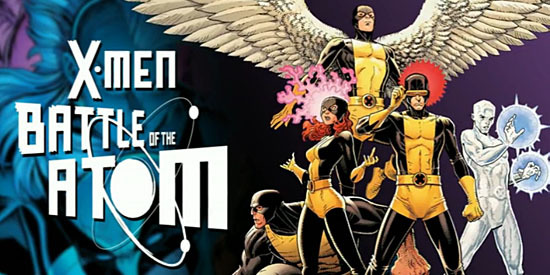 A 10-chapter arc weaving through X-Men, Uncanny X-Men, Wolverine and the X-Men and All-New X-Men and bookended by two one-shots; Battle of the Atom starts with the original, time-displaced team of X-Men deciding (arguing) whether or not they should leave the present day and return to their era. But why settle on past and present when you can have not one but two different X-Men teams from the future join in? Another year, another crisis in the X-Men universe. Can’t they all just get along? Fortunately, they can’t and that makes for some great reading for fans. Hank McCoy brought the original X-Men into the present in the hopes of changing the course of history and stopping Scott Summer’s mutant revolution before it even begins. But as the young and confused X-Men try to cope with their devastating futures, the team begins to unravel from the inside. And just as mutant civil war is about to hit its boiling point, an unexpected third party comes in to change the game – the future X-Men! They’ve traveled back in time with a warning – the originals need to go back to their rightful time or they will be the final nail in mutantkind’s coffin. They risked everything to come to the past and won’t leave until the All-New X-Men are back in the past. The comic book world is abuzz with anticipation of next year’s battle royal between the Avengers and the X-Men. The event series kicks off with a prologue issue that sets up two of the most critical characters in the series, Hope Summers and The Scarlet Witch. The issue is written by Brian Michael Bendis and Jason Aaron with art by Frank Cho, a veritable dream team of creators. “This March, fans worldwide cannot miss the prologue to the biggest pop culture comic event of the year as Marvel is pleased to unveil the trade dress and cover to Avengers VS. X-Men #0! Just before the Avengers and the X-Men go head to head, superstar creators Brian Michael Bendis, Jason Aaron & Frank Cho set up the crucial roles of the Scarlet Witch and Hope Summers in the coming storm. Check out the awesome full cover after the jump. The X-Men are some of the most enduring and, let’s face it, cool characters in the entire Marvel Universe. With their diverse powers and great characters they are also some of the most popular creations in the Marvel Universe as well. 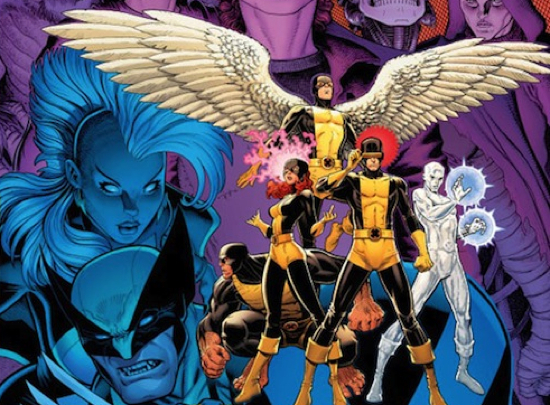 With yet another X-Men movie set to hit theaters soon, Marvel is also hard at work on more comic book incarnations and stories featuring these favored mutants. Case in point this time around is the upcoming comic X-Men: Schism from writer Jason Aaron and artists Carlos Pacheco and Frank Cho. In this one, according to Marvel: For years Wolverine and Cyclops fought side by side, protecting the ideals of peaceful co-existence between human and mutantkind. But when a mutant-triggered international incident goes mainstream, their differences on the battlefield will prove to be too much and fans will bear witness to the fight they’ve all been waiting for – CYCLOPS VS. WOLVERINE! X-Men: Schism will send shockwaves throughout and the entire Marvel Universe when a decision made by the X-Men leader jeopardizes the survival of all mutantkind. What lengths will some X-Men go to preserve the preservation of their species? The new comic hits store shelves on July 13th. Until then, check out some preview pages for it after the jump.